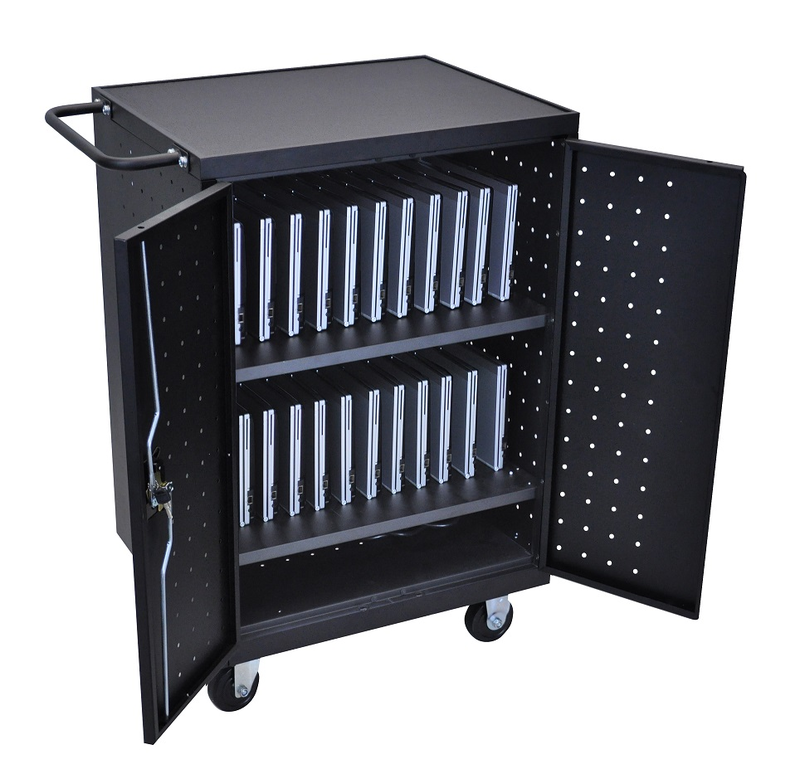 The Luxor Chromebook Charging Cart that safely stores Chromebooks, tablets, or computers. Inside it has 12"H of top clearance. Includes four 3" casters, two with locking brakes. The locking door includes a traditional lock and key system and it includes a set of two keys. Includes electrical outlets on one side and can be accessed through rear access door. Electrical cords can remain powered through the cord pass - through hole. Plenty of ventilation allows air to circulate freely through the unit. It comes fully assembled - just put on the casters and handle. 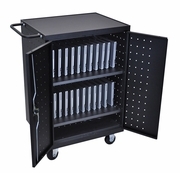 Available with 12, 18 or 24 Device slots for Tablets/Chromebooks.